Father’s Day rolls around and there are literally hundreds of cards available to convey a message of love, appreciation and respect to the man we call dad. With some time spent sorting through them all and a financial investment of $4.95 we can eloquently express our thoughts. Signed, sealed, delivered. When given with sincerity, there is nothing wrong with this, I’m not knocking Hallmark here. But isn’t there something about a handwritten note that just warms your heart? I think God likes those “handwritten notes” of worship too. Slow down…search your heart…what part of who God is amazes you the most in this season of your life? Tell Him. What is it that He’s done for you that makes your heart leap out of your chest every time you think about it? Tell Him. It doesn’t have to sound good to anyone else, trust me, it sounds wonderful to Him. 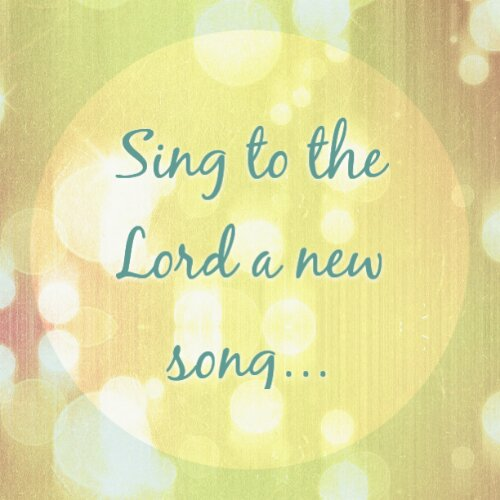 Sing to Him a new song. Give Him something fresh today. Give Him you.